You know the phrase, “If you want something done right, do it yourself”? Well, you may not think this phrase applies to the humble muffin, but I’m here to tell you it does. 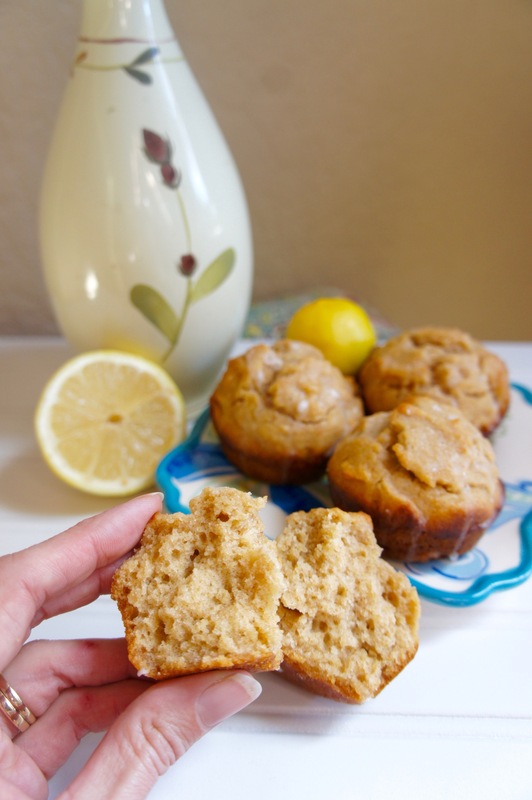 As a muffin–o–maniac, I am constantly scouring the internet for new muffin varieties to try, but sometimes, alas, I just can’t find exactly the recipe I want for the ingredients I have on hand. Thankfully, muffins are the perfect drawing board for recipe experimentation, even for anyone new to the process. If you can’t find a recipe for exactly what you want, you can always take the DIY route. Muffins are like a bake-able paint-by-numbers kit: hard to screw up and with a bit of room for creativity. All you have to do is find a good basic recipe (like this one from King Arthur Flour or this one from Mark Bittman) and tweak it to your liking, or to fit whatever items in your kitchen need using up. You might even use a flavor guide like The Flavor Bible for inspiration on ingredient combinations. 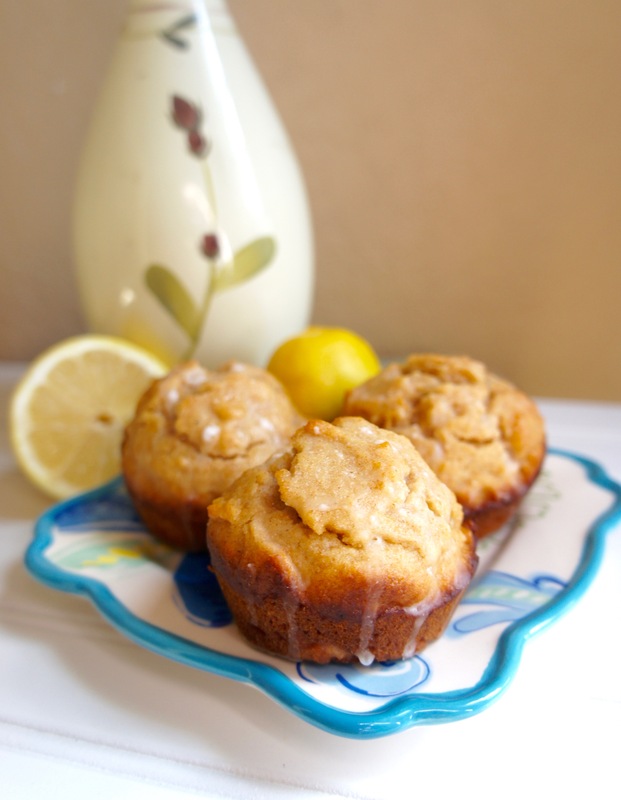 That’s how I ended up with these Lemon Honey Olive Oil Muffins–which, by the way, are no basic muffin. So tell me, what kind of muffins would you make if you were to create your own recipe? Or what other types of foods do you find easy to experiment with? I’m always looking for new ideas! 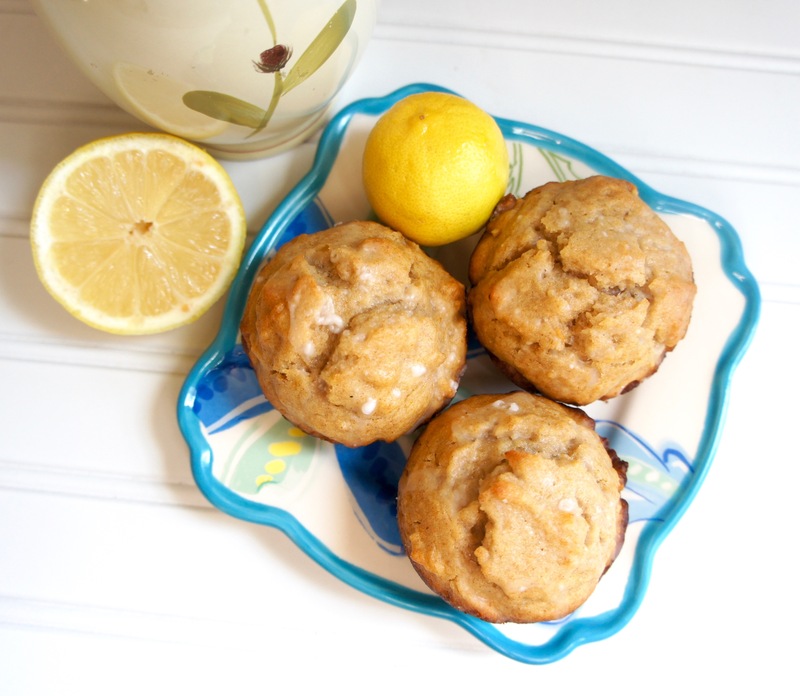 These lemony muffins get their sweetness from honey and their moist texture from olive oil. Preheat oven to 425 degrees. Spray 10 cups of a muffin tin with cooking spray. In a large bowl, whisk together the honey, olive oil, eggs, sour cream, vanilla, almond milk, and lemon juice until smooth. 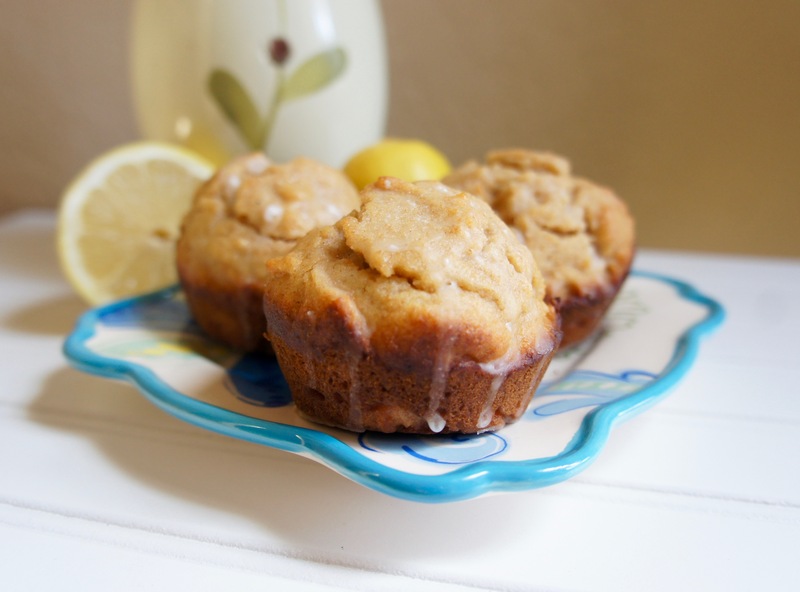 Add all-purpose flour, whole wheat flour, salt, baking powder, and lemon zest and mix until just combined. Spoon into greased muffin cups and bake 3 minutes at 425, then reduce heat to 375 degrees and bake an additional 15-17 minutes. Cool at least 10 minutes in the pan. Meanwhile, make the glaze by whisking together the remaining lemon juice and powder sugar. 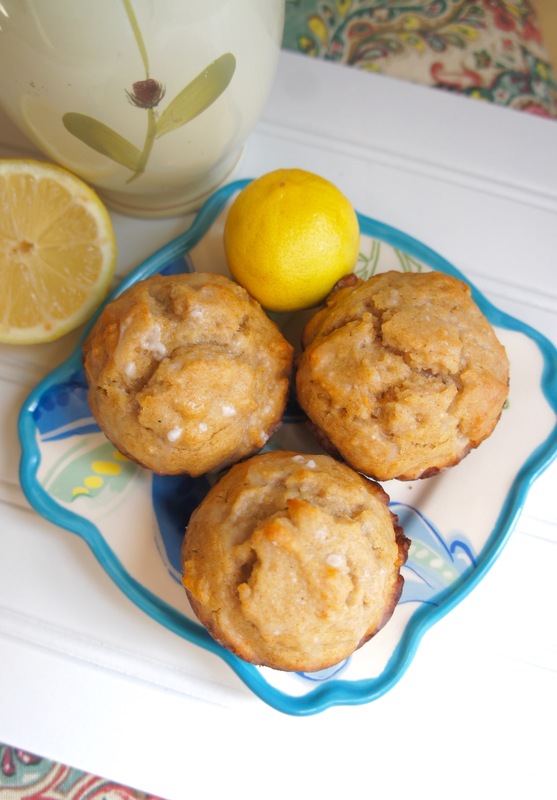 Remove muffins from tin and drizzle with the glaze. Store in an airtight container. This entry was posted in Recipes and tagged Baked Goods, Breakfast, Mediterranean Diet. Bookmark the permalink. I adore lemon flavored everything! These look fabulous. I am not much of a baker so I am so thankful you put together such a wonderful recipe! Thanks, Michelle! I love lemon, too, and this time of year with lemons falling off the trees, I try to make as much lemon-flavored food as I can. There look delish! You’re a great food photographer (that takes some skill)! Thanks, Megan, that’s so nice to hear! It’s definitely a process! These look so good! 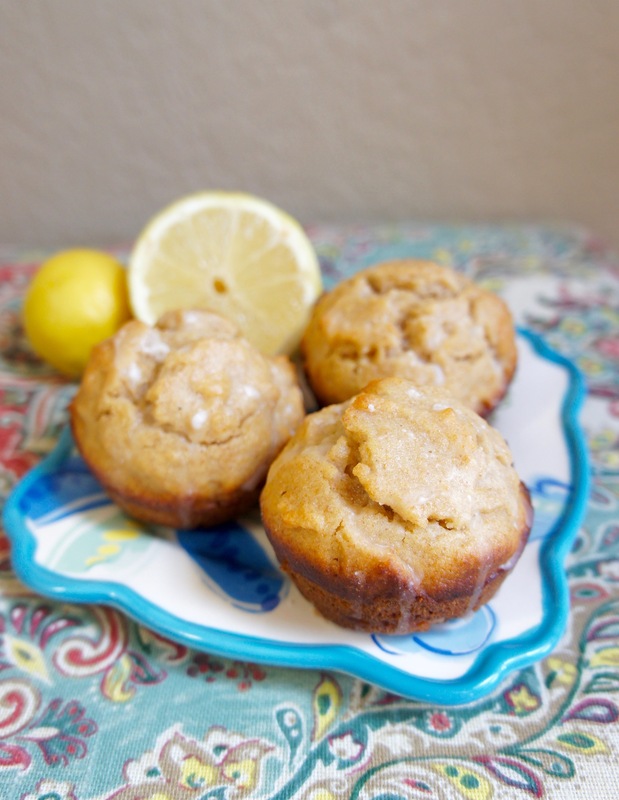 I have ripe lemons in my backyard – can’t wait to try these soon! Perfect! 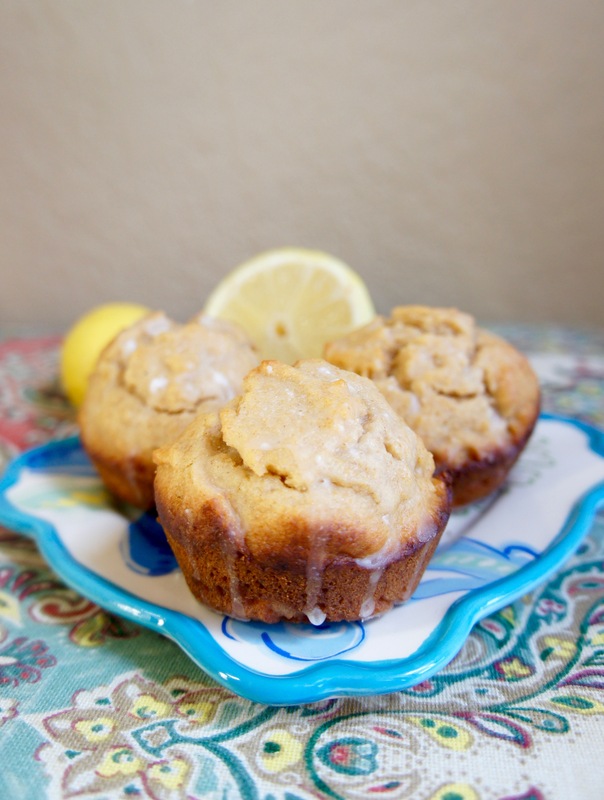 This is definitely the time of year to use lemons if you live in the Phoenix area.